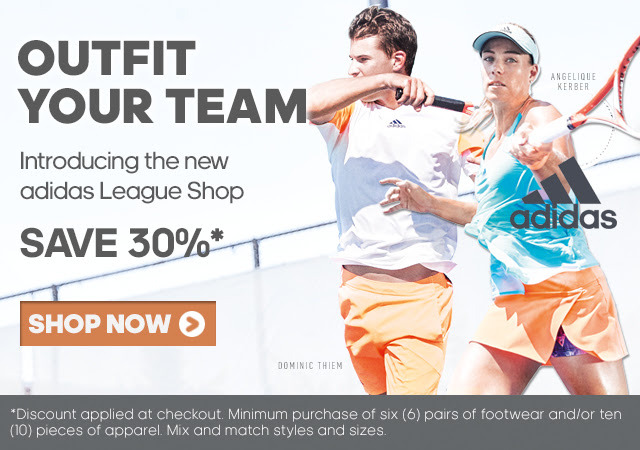 Orange County Tennis Information - OC USTA League Tennis | *Discount applied at checkout. Minimum purchase of six (6) pairs of footwear and/or ten (10) pieces of apparel. Mix and match styles and sizes.\" width=\"133\" height=\"94\" data-mce-src=\"https://ci6.googleusercontent.com/proxy/oScdA4NtpmJsru8xmfhJAZTLTRI7zsGU6BxUl5z62msYB5EXd63vQtkAyRFnAR-v90e46D7YsG9RQJyk752u0H9GRzQsC7ijppyf6FCHPnFwh5MXy0hBbcJOD1gh=s0-d-e1-ft#http://f.mailusta.com/i/51/2068547492/Ticket_038309_LeagueEmail-Feb.jpg\" />﻿ 2018-2019 Master Schedule and Deadline Dates Are You a Player Looking for a Team?Click Here and We'll Find You One! Step by Step Guidelines for Starting Your OC USTA Team 1. Read all information linked on this page and ask questions about anything on which you are 100% clear and direct notify your players that they are also required to read an understand them.2. Fill out form acknowledging that you've read and understand the rules and request your team number: Spring Captain's Acknowledgement and Team Number Request Form﻿3. Attend one of the preseason captain's meetings if possible and if a new captain, arrange for a 1-on-one training if needed.4. Request your facility director fill out the SPRING Facility Information Sheet. This sheet should only be filled out ONCE for each site.5. Poll your players to find out their abililty for the season and using the information you've received from your players, fill out the Team Information Sheet (be polling your players now so you can fill this out AFTER you know your players' availablity. (Captains must fill out a separate sheet for each team) and request needed byes without exceeding the maximum allowed and by the deadline date of 8/31.6. Register yourself on Captain's Team for $3 (link below).7. Provide your team number to your players and make sure you have 6 players registered by the deadline of 8/31 to guarantee a spot. Monitor your players' signups on this page: Spring Leagues8. Manage your schedule accordng to the rules posted below and intructions sent out via email.9. Enter scores on-time and according to instructions below.10. Enjoy your season and good luck to you and your team! Click Here and We'll Find You One! 1. Read all information linked on this page and ask questions about anything on which you are 100% clear and direct notify your players that they are also required to read an understand them. 3. Attend one of the preseason captain's meetings if possible and if a new captain, arrange for a 1-on-one training if needed. 4. Request your facility director fill out the SPRING Facility Information Sheet. This sheet should only be filled out ONCE for each site. 5. Poll your players to find out their abililty for the season and using the information you've received from your players, fill out the Team Information Sheet (be polling your players now so you can fill this out AFTER you know your players' availablity. (Captains must fill out a separate sheet for each team) and request needed byes without exceeding the maximum allowed and by the deadline date of 8/31. 6. Register yourself on Captain's Team for $3 (link below). 8. Manage your schedule accordng to the rules posted below and intructions sent out via email. 9. Enter scores on-time and according to instructions below. 10. Enjoy your season and good luck to you and your team! 2019 SPRING Team Information Form - Captains must fill out a separate form for each team. * Championship Grievance Form - Must be filed within time limits specified.